To help surgeons incorporate techniques for deepening the anterior chamber and enlarging a miotic pupil in a post-uveitis eye with posterior synechiae, circumferential pupillary membrane and shallow chamber into their practice. Each month, we will present a new online surgical video by Richard Mackool, MD, with the goal of making CME accredited surgical training available online for surgeons motivated to improve or expand their surgical repertoire. Welcome to Season 4 of Mackool Online CME! With the generous support of several ophthalmic companies, I am honored to have our viewers join me in the operating room as I demonstrate the technology and techniques that I have found to be most valuable, and that I hope are helpful to many of my colleagues. We continue to edit the videos only to either change camera perspective or to reduce down time – allowing you to observe every step of the procedure. As before, one new surgical video will be released monthly, and physicians may earn CME credits or just observe the case. New viewers are able to obtain additional CME credit by reviewing previous videos that are located in our archives. I thank the many surgeons who have told us that they have found our CME program to be interesting and instructive; I appreciate your comments, suggestions and questions. Thanks again for joining us on Mackool Online CME. 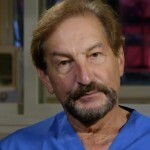 Richard Mackool, MD, a world renowned anterior segment ophthalmic microsurgeon, has assembled a web-based video collection of surgical cases that encompass both routine and challenging cases, demonstrating both familiar and potentially unfamiliar surgical techniques using a variety of instrumentation and settings. These high-definition videos are designed to serve as teaching tools. This educational activity aims to present a series of Dr. Mackool’s surgical videos, carefully selected to address the specific learning objectives of this activity, with the goal of making surgical training available as needed online for surgeons motivated to improve or expand their surgical repertoire.